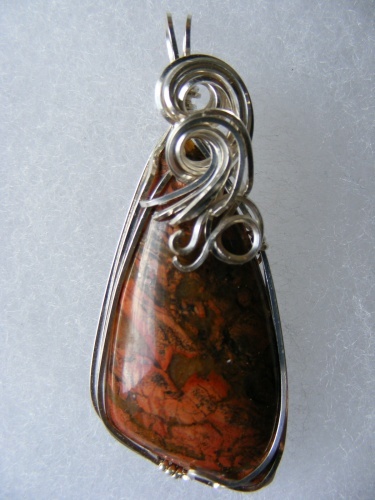 This gorgeous jasper is so unusual in colors. Wrapped in argentium silver curls - makes it look so regal. Comes with a sterling silver chain.